Do you enjoy tinkering around under the hood? Do you own your own hand tools? Are you okay with getting a little grease under your fingernails? 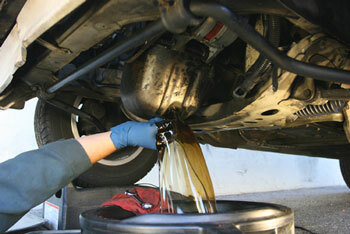 If not, then handling your own oil change may be something you don’t want to do it yourself. Look, we realize not everyone enjoys working on their cars as much as we do. We love working on cars, in fact if we don’t feel 40-weight slathering over our hands every week or two, we begin trembling. When you bring your car or truck to McGrath’s Service Center rest assured that your will receive a quality oil change along with expert advice about the under-the-hood condition of your vehicle. Regular oil changes are the best way to prevent costly maintenance issues further down the road. While there is no exact science to recommend how frequently oil changes should happen, the general consensus is every 3 months or every 3,000 miles. Owner’s manuals vary greatly in terms of suggested oil change frequency, from every 2,000 miles to every 10,000 miles. Your vehicle may take the same weight of oil in the winter as it does in the summer, however many high performance or special use vehicles require different oil based on the season. We make sure that cars leave our service bays with the right oil for the season as well as a quality oil filter that will work hard to protect your engine life. One of the newer challenges that do-it-yourselfers have to deal with is how to dispose of that old, dirty oil and filter. The EPA now levies a huge fine — into six figures — for improper or illegal oil disposal. The days of digging a hole in the back yard and pouring dirty oil into it are long gone. McGrath’s Service Center disposes of its oil and petroleum based products in a safe and earth-friendly manner.